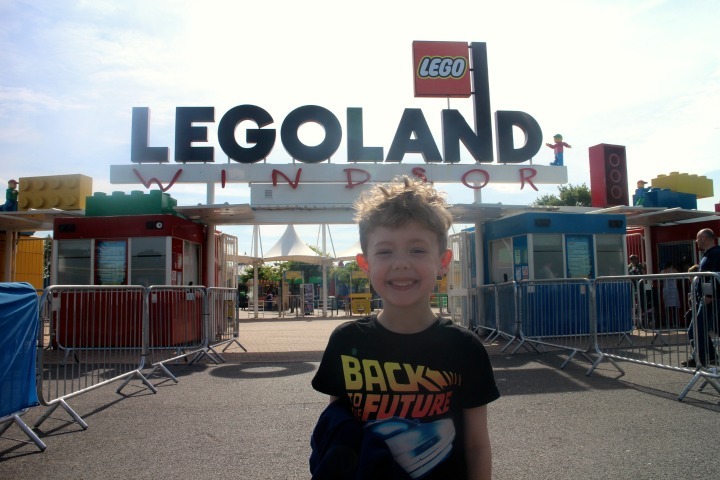 When my brother text me a few weeks ago asking if I fancied taking my nephew Brody to Legoland I jumped at the chance, as did mum and into the car we climbed and made the trip to Windsor. The first thing that struck me on our arrival was that the park doesn't open till 10am. In my experience most children have been up a good few hours by 10am and I can imagine if staying at the hotel on the complex that by 10am parents will be pulling their hair out with excited children desperate to get into the park. 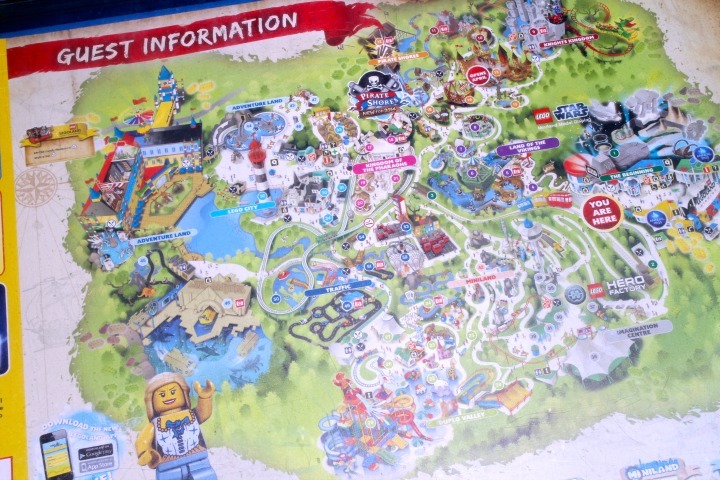 We were able to pay before 10am and enter 'The Beginnings" which is essentially a central area of the park with a Lego shop (no surprises that was open!) and a shop where we grabbed ourselves a coffee and mum friends with Luigi. 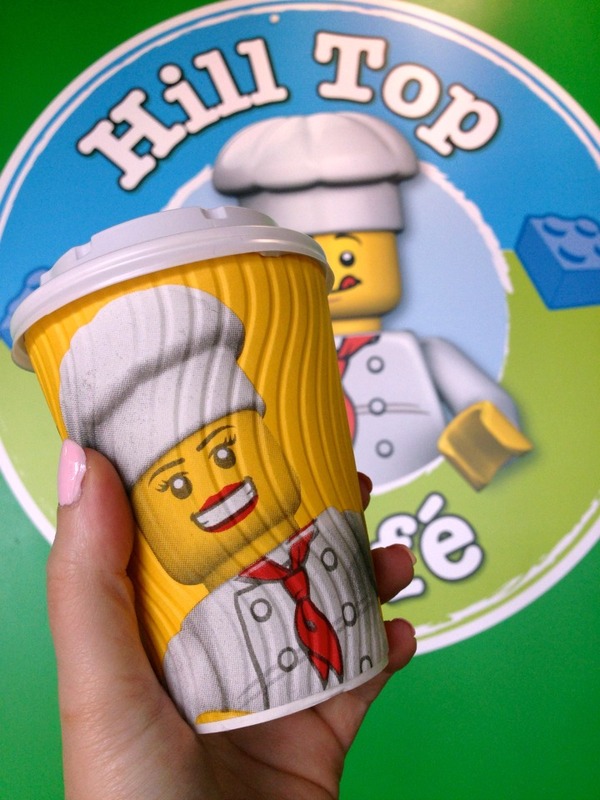 I really think Legoland are missing a trick not having refillable coffee cups available for purchase! At last the gates opened and we were let inside the park and made our way to the first of many rides. 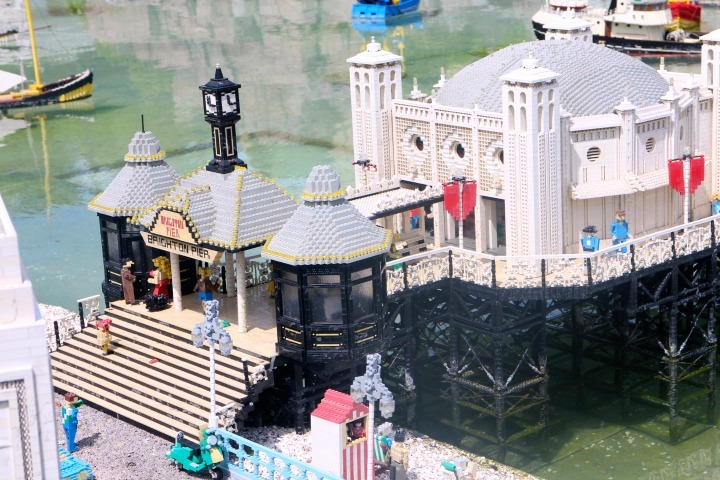 Any thrill seekers this is not the park for you and all attractions are very much geared towards the younger Lego fans out there. 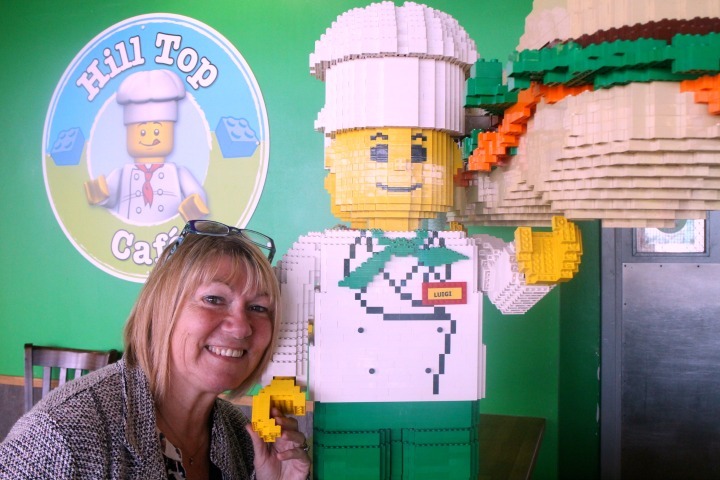 Legoland very much follows the themes of Disney and Universal Parks in Florida split into areas such as Adventure Land and Pirate Shores that are comfortably spaced apart with much to look at - all made of Lego of course (even the hygiene certificates in the toilets were inside Lego frames). Despite the park being busy we didn't have too long waiting times, 15-20 minutes at the most although I was surprised that many of the food stations were closed or didn't open till late in the day. Again I think most children start to feel peckish and can't hold out as long as us adults. 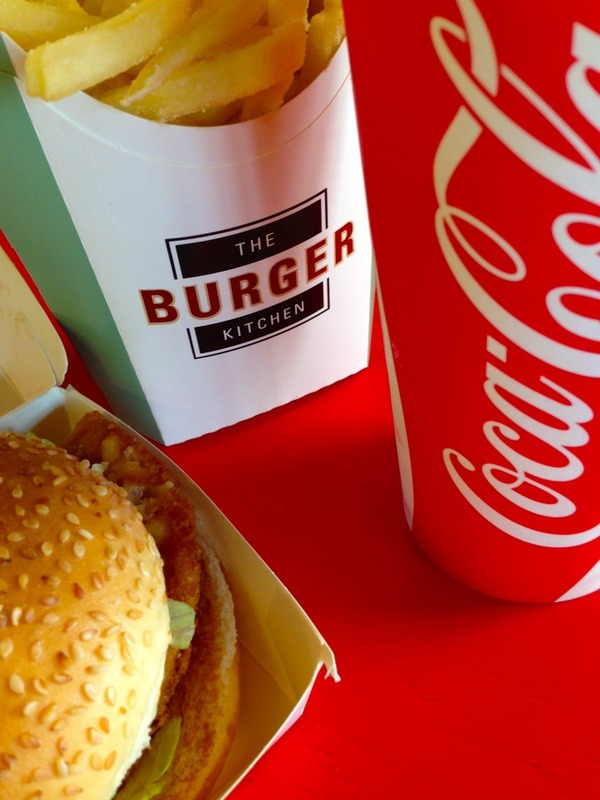 We hit the newly opened Burger Kitchen for lunch, essentially your typical fast food burger joint. For three adult and one childs meal it came to around £30 so it was no surprise many families were sitting in the sunshine enjoying picnics of packed lunches. 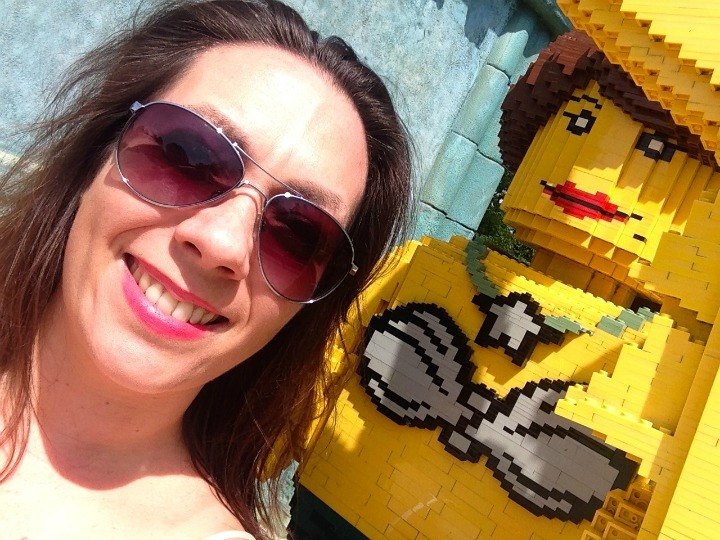 I was a little disappointed by the lack of characters dressed up floating around the park but thankfully there were plenty of Lego brick ones to take some selfies with - I even found my twin! 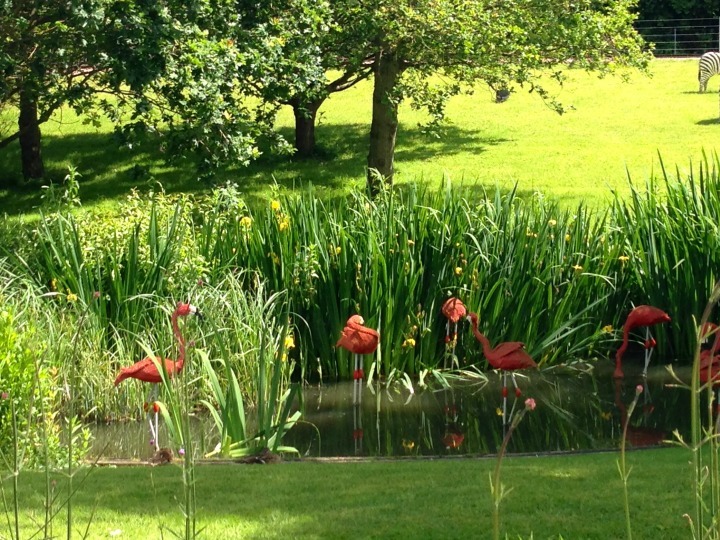 and of course mine was spotting Lego flamingos! 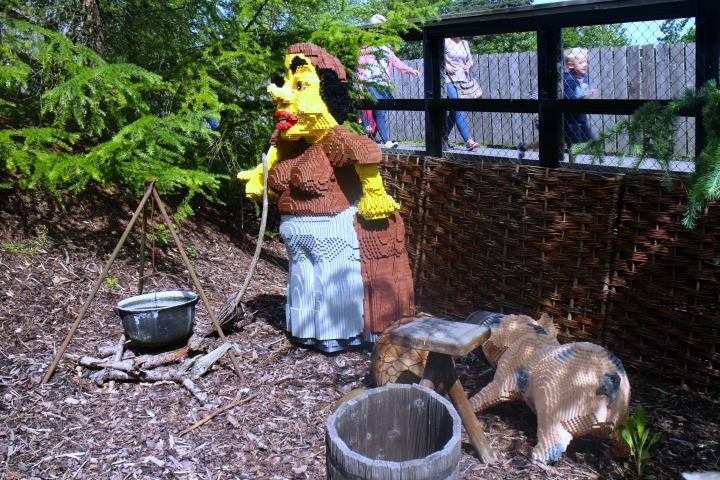 So what did we make of Legoland and is it worth the visit? 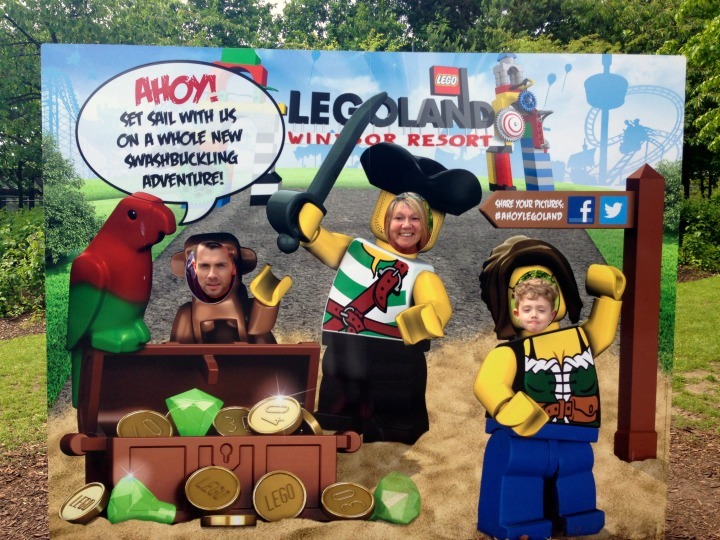 My main thoughts as I left Legoland were how do families afford such day trips. 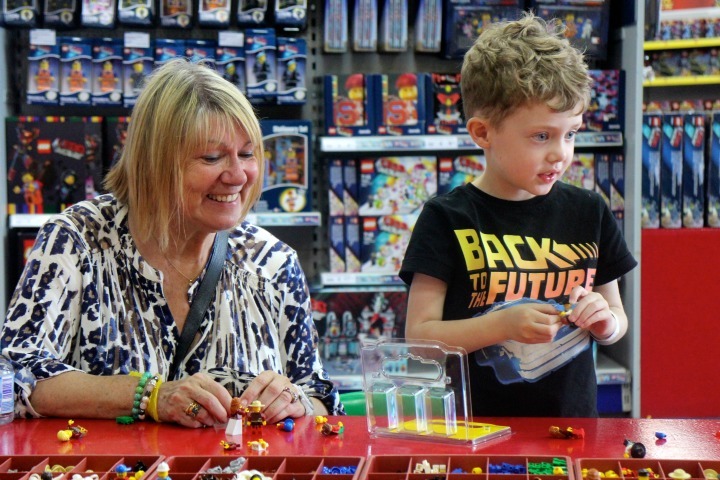 It cost us £86 with half price tickets plus lunch not taking into account the Lego shop spending. There are always half price tickets around so I would definitely say it isn't worth visiting at full price so keep an eye out for those. Also if your children are older they may find it a little tiresome. 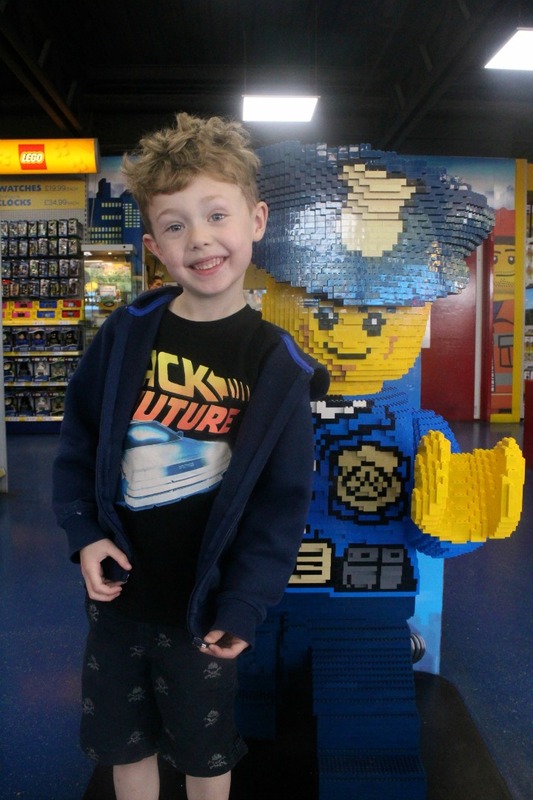 Brody at five was just the right age and thoroughly enjoyed it although dare I say he said his favourite thing about Legoland was the shop - we could've saved ourselves a fortune and taken him to Westfield. It was a great day out which I thoroughly enjoyed but would I go again, not for a few years. 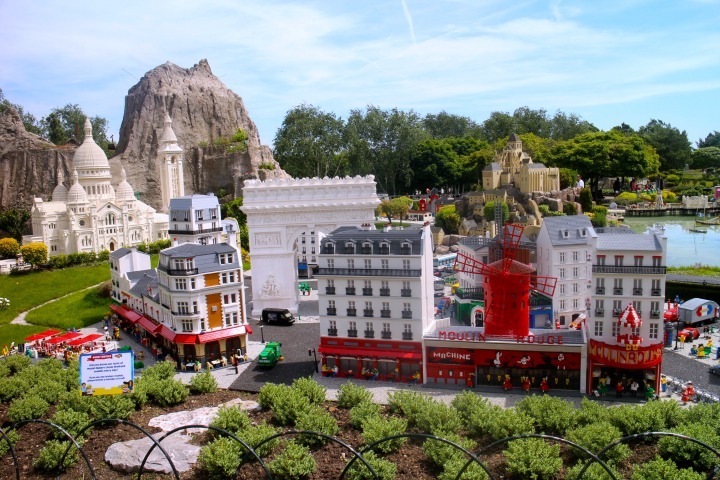 Have you ever been to Legoland, let me know what you thought of it. It is not far from where I used to live and my friend, along with some of her other Mummy friends purchase annual tickets. They pick the kids up from school and head straight there when the weather is good - that way the kids get to tire themselves out and they get their moneys worth. Picnics are definitely the way to go. man alive that's an expensive day out. 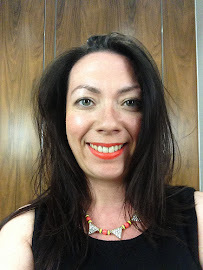 So far, we've managed to avoid going & I'm hoping it can stay that way! Your thoughts on it have confirmed what I suspected, nice, but overpriced. We'll be off to Pleasurewood Hills next month, that costs enough, but not quite £86! It's a sad fact that when there are children involved, you're always going to be stitched up like a kipper. Not fair. 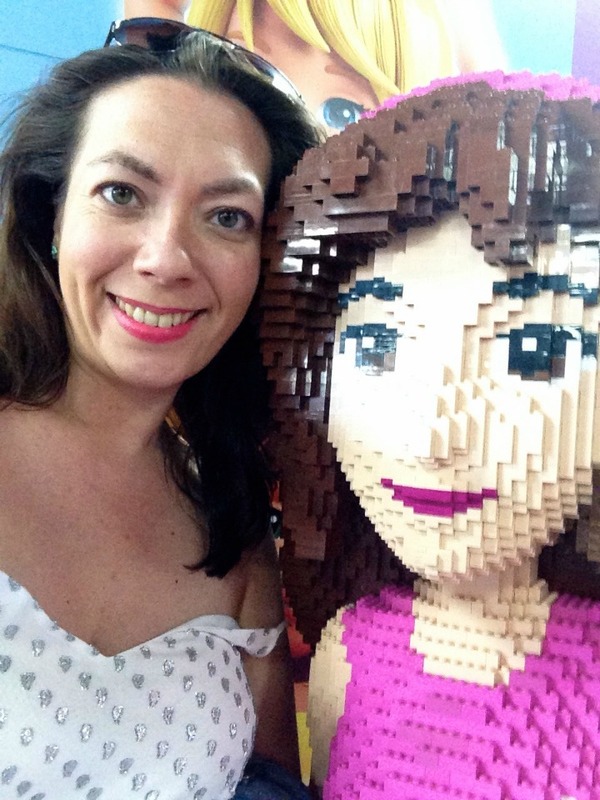 Love the pic of you & lego version of you! 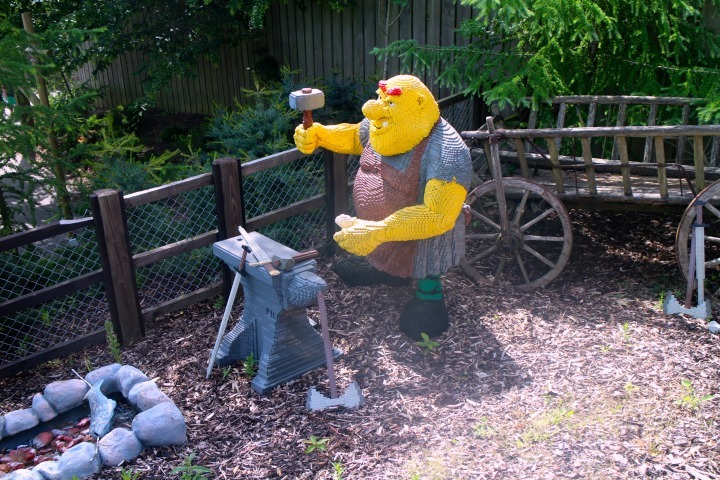 Ooooh I haven't been to Pleasurewood Hills in years!!!! Totally... we were lucky my mum treated us all but not everyone has that luxury! I agree it looks a bit jaded doesn't it. I think we were lucky with brilliant sunshine everything looks better. And oh my word that hill was crazy... again surprised for a park targeting small children and parents having to push buggies it's like a work out! How fun! I better start saving now!